Are you a music teacher? Need recommendations for tutors, resources, or short courses for curious or struggling students? Are you a music student? Do you need help studying for college entrance exams or simply want to review a few topics in preparation for an upcoming unit or exam? Or maybe you’re a music enthusiast or an armchair conductor? Did you sing or play an instrument in grade school once upon a time? Want to learn more about music and how it works? 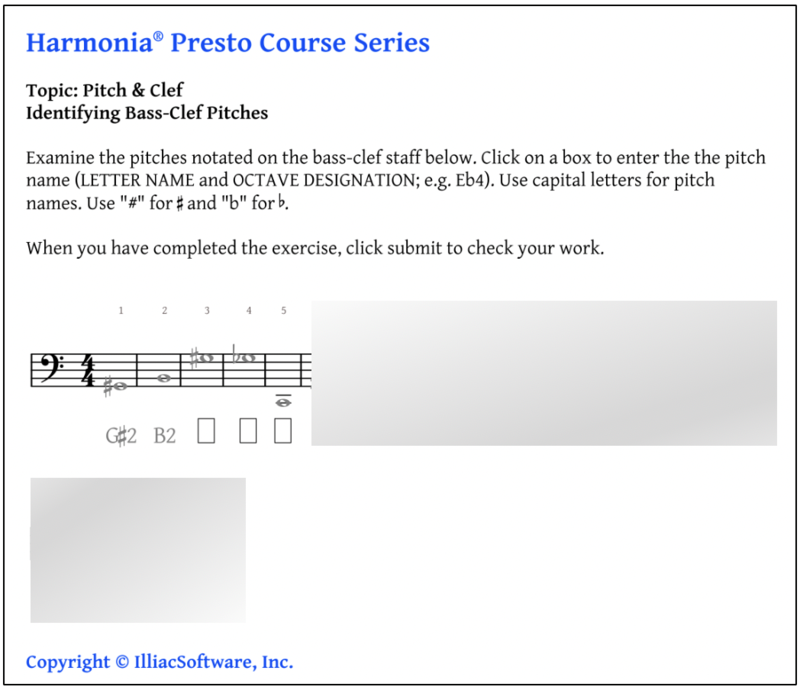 Check out our all new Presto Courses by Harmonia created specifically for you. 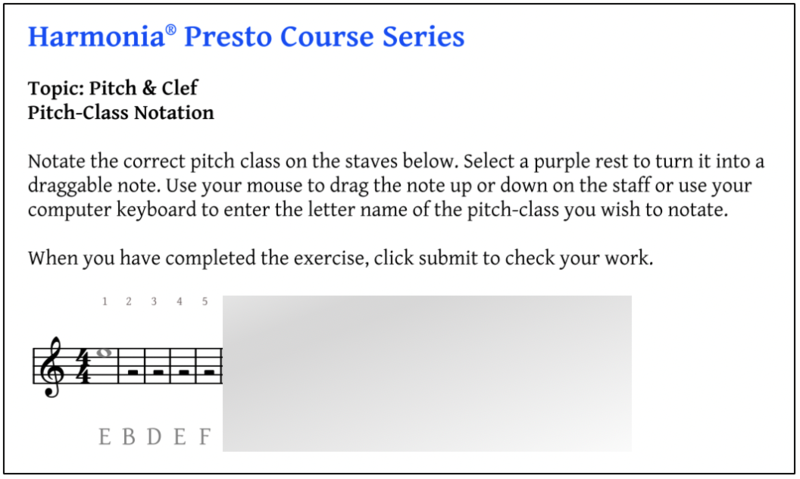 Presto Courses provide specific, targeted music theory instruction using interactive lessons and short exercises with automated grading and lightning-fast feedback to help you learn music theory fast. Want to learn how to read music? 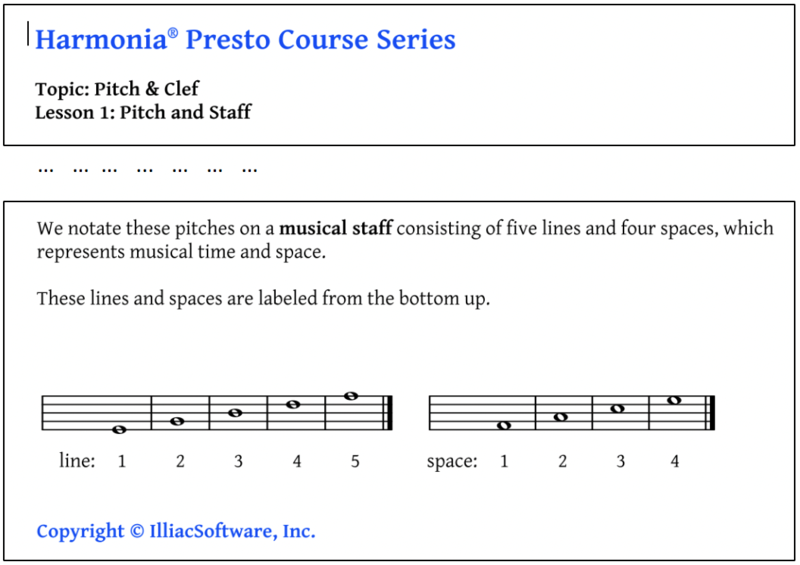 Start with our Pitch and Clef Presto Course. Learn about pitch notation, clefs, the piano grand staff, and accidentals. Test your knowledge and skills with a variety of short, instantly gradable exercises. Can’t find what you’re looking for? 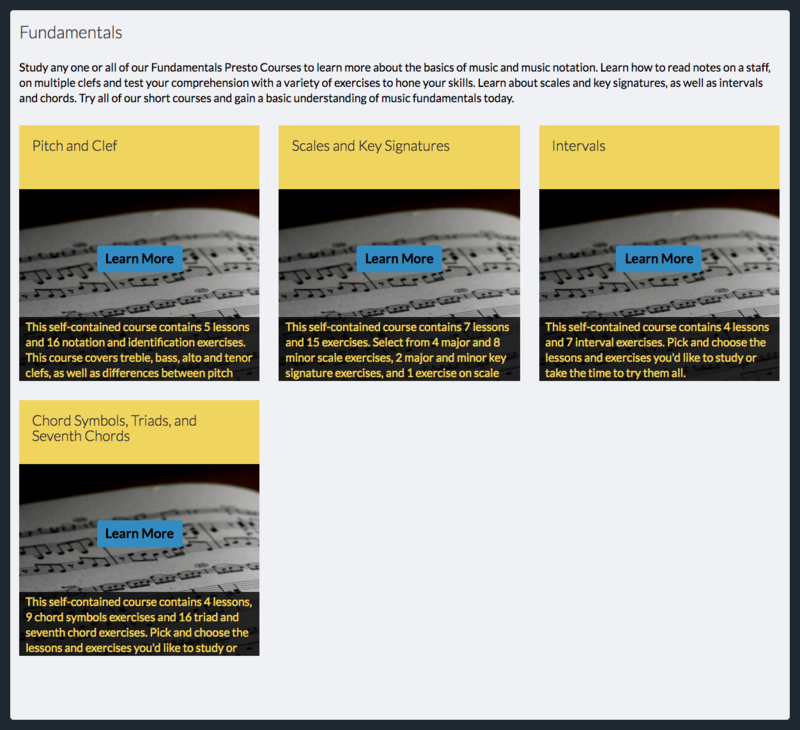 Visit our website and check back frequently as we continue to add more and more diatonic, chromatic, and post-tonal theory topics to meet your needs. Sign up for an account and start learning today.